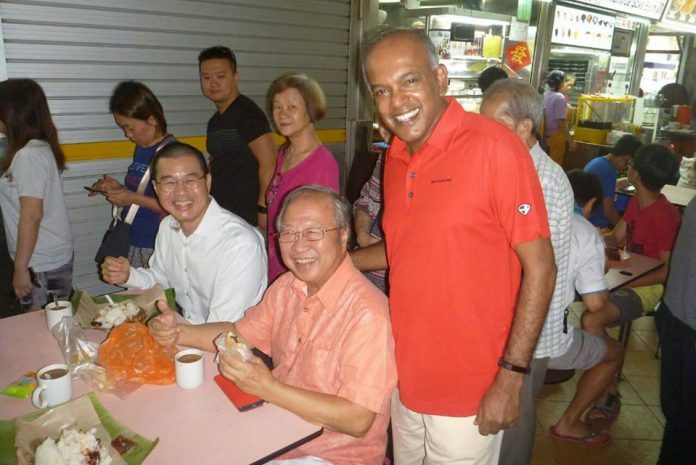 Dr Tan Cheng Bock posted a picture of him taken with Home Affairs and Law Minister, K Shanmugam, at the Chong Pang Hawker Centre in Yishun Ave 5, on Jan 19. The camera captured both men with hearty smiles. Breakfast at Chong Pang Hawker Centre, Sat 19 Jan. The smiles though may be masking strong emotions behind political competition. 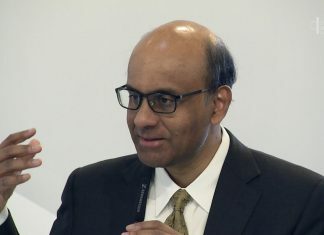 Dr Tan took issue with Mr Shanmugam for singularly identifying him, although his name was not mentioned by the audience, and for further opining that Dr Tan cannot qualify under the new rule change. “Has he decided that the White Paper is law ahead of parliament debate? Is there some truth after all that the changes in the rules was to make sure l would not be eligible?”, Dr Tan asked. “It would be a sad day for Singaporeans if a Constitutional change was made because of an individual,” he added. Then in October 2017, when Dr Tan made some observations about Workers’ Party Chairman Sylvia Lim’s adjournment motion in Parliament on the topic of reserved Presidential Election, Mr Shanmugam charged that Dr Tan was “bitter” and engaged in “elaborate charades”. On January 18, Dr Tan announced his return to active partisan politics. Dr Tan said that along with eleven other Singaporeans, he had filed an application with the Registry of Societies on January 16, for a new political party named the Progress Singapore Party. Dr Tan and Mr Shanmugam were previously from the same team – the People’s Action Party (PAP). Some had argued that Dr Tan was the most popular PAP MP after Mr Lee Kuan Yew (Singapore’s founding Prime Minister), as he had repeatedly won the contests in his constituency of Ayer Rajah with huge margins. Mr Shanmugam has been the MP for the ward of Chong Pang since he entered partisan politics with the PAP in 1988. Chong Pang is part of Nee Soon Group Representation Constituency (GRC) and Mr Shanmugam is the anchor Minister in the GRC. He is said to be well-liked in his constituency. If the next General Election sees Dr Tan leading a team to contest Nee Soon GRC against Mr Shanmugam, it will be an interesting contest to watch. The Workers’ Party contested in the Nee Soon GRC against Mr Shanmugam’s team in the 2011 and 2015 General Elections. In the 2015 General Election, the Workers’ Party team got barely 33 per cent of the votes cast.